Niagara Falls, NY - NFHS students huddled in the cold observing silence for 17 minutes. Niagara Falls High School students walked out of class to participate in National Walkout Day. 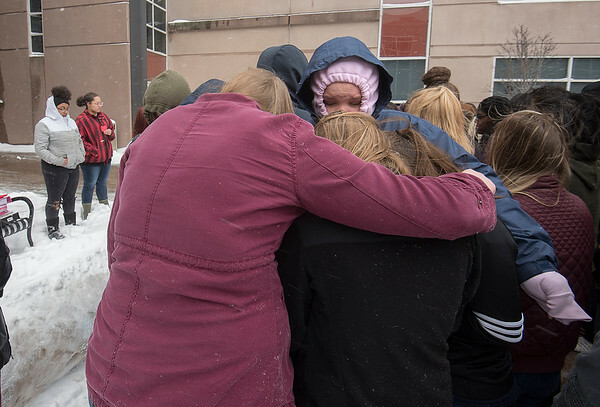 Students organized the walkout to protest gun violence, observed 17 minutes of silence for and read the names of the victims of the recent Florida shootings.